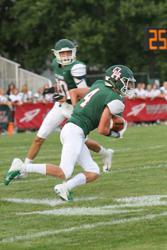 OAK HARBOR - Defensively, the Oak Harbor football team was ready for Friday's opener against Fostoria. The Rockets allowed just 115 yards of offense while the offense scored three times in the first half to defeat the Redmen 18-0. 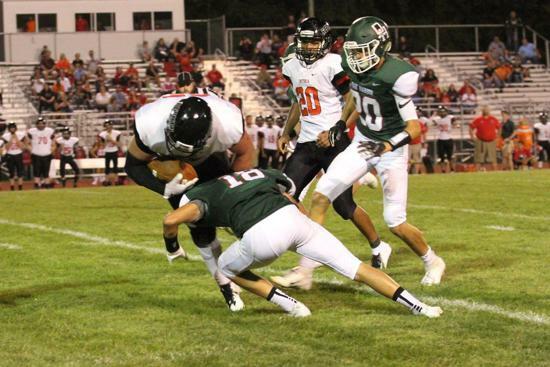 Cole Roob anchored the defensive line and Ryan Ridener helped wrap up the Fostoria running backs by recording seven tackles in his first varsity start as a sophomore. "It helps set the tone for the season," Ridener said of the defensive shutout. "It was a good way to start the year." Tyler May, Clay Schulte, Kyle Hanselman, Jordan Arnold, Hunter Wilkins, and Brandon Elmes all assisted the defense in keeping Fostoria's running game in check. 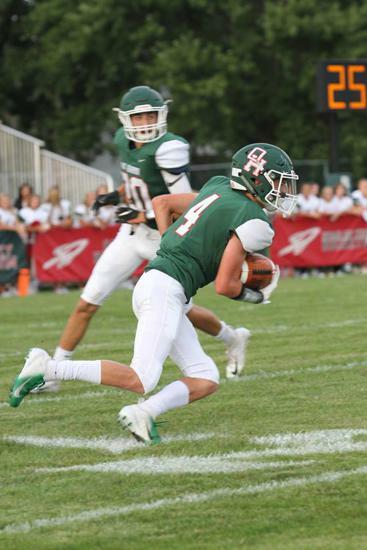 The Rockets struck first with 5:52 left in the first quarter as Alexander flashed his way into the end zone on an 18-yard run. 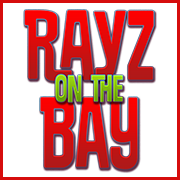 Alexander's extra point fell short giving Oak Harbor a 6-0 lead after one quarter. 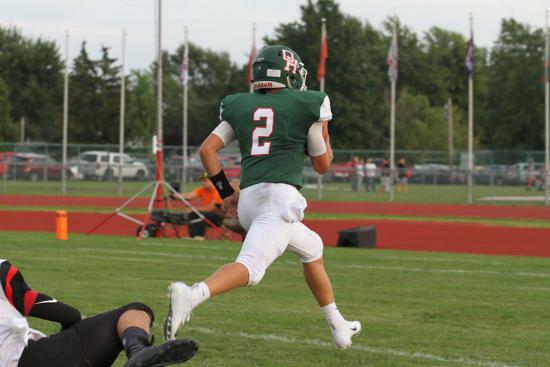 Oak Harbor's second score came on a three yard touchdown run from Schulte with 9:45 left in the second quarter to extend the Rockets' lead to 12-0. Schulte finished with 14 rushes for 45 yards. The ground game was consistent for the Rockets who finished with 178 rushing yards led by Alexander's 112 yards on 16 carries. 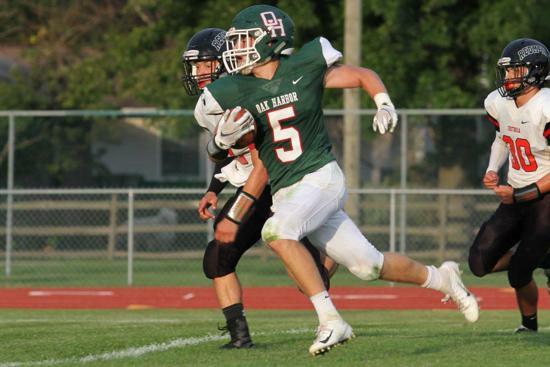 Alexander also added Oak Harbor's last score, a 40-yard touchdown run with 4:07 remaining in the game. 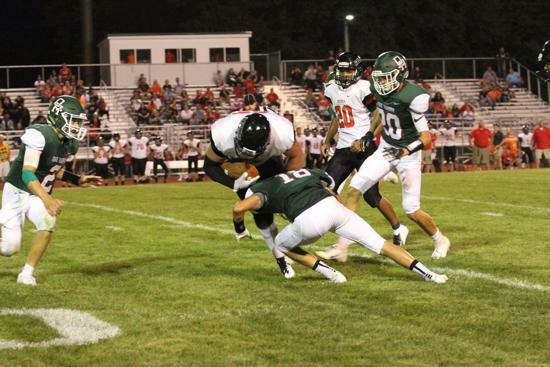 Oak Harbor finished with 244 yards to Fostoria's 115. Maalik Tucker carried the brunt of the Redmen load as he rushed the ball 25 times for 76 yards. Devin Mauricio had -26 yards rushing while completing 3-of-5 passing for 38 yards in the game. Oak Harbor had three completions for 66 yards including a 33 yard pass from Alexander to Schulte in the first half. Schulte had all three catches for Oak Harbor. The Rockets will travel to Genoa in week two while Fostoria will host Toledo Scott.